Designing is a super creative job. And, for me, it's also very paper-based. I'm constantly sketching things out and taking notes on paper all over my office. But using the computer is also a critical part of the job too. Today I'd like to talk about software I use in my business. Some/many designers create their charts with Adobe Illustrator. Good for them, not for me. While I do occasionally break it out if I need some super weird stitch, I'm charting with Stitchmastery. You can easily make all kinds of charts, it gives you the written instructions for the charts (a nice feature for me since I like to include them in all my self-published patterns), and you can save your charts as hi-resolution photos. There's a few different charting software options out there, this is the one that I've been using for several years and I really love it. As a mostly shawl designer, there's not too much grading needed in my designs. But, I do use Excel for all kinds of math on accessories. It's a great tool to have. And I use it to track all my business financials too. I recently talked about my pattern layouts here on the blog. A couple years ago I switched to using Adobe InDesign to layout my patterns and haven't looked back. I really like it and I think once you watch a couple of tutorials on YouTube you'll find it's actually pretty easy to use. I use Photoshop too. When I first started designing, paying for things like Adobe products was out of the realm of possibility. I'm here to tell you don't need these things to get started. But, maybe you'll be like me, and as your business grows you'll decide you'd like to have them. Or maybe you won't. Again, it's whatever works for you! 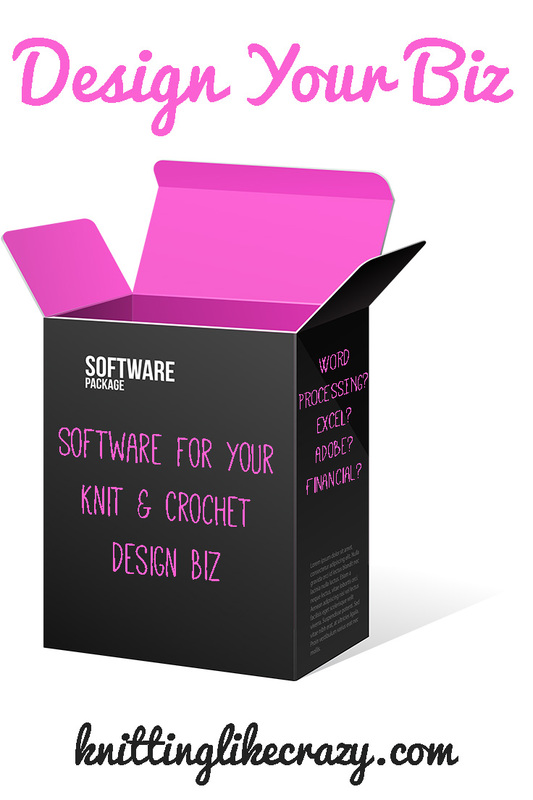 We could talk about software for your business all day. But these are the main things I'm using on a daily basis. How about you? If you're a designer, what other software do you use for your business?